The following checklist is primarily, but not exclusively, focused on architects of the built environment in Brockville’s historic core. The authors recognize that it is far from complete, even as it stands. They would very much appreciate receiving any information or modifications that website visitors may be able to contribute. Architects, Ottawa. Office, 222 Somerset St. W.
Four Winds Apartment (1966), 109 King Street E., Brockville. The Executive Condominium Apartments (1978), 55 Water St. E., Brockville. St. John Bosco Roman Catholic Church (1986), 175 Windsor Dr., Brockville. Vince Colizza*, partner in charge. Architect,Brockville. Office, Fulford Building, 2-10 Court House Ave. (1888). Metropolitan Block (1888), 82, 84, 86 King St. W., Brockville. 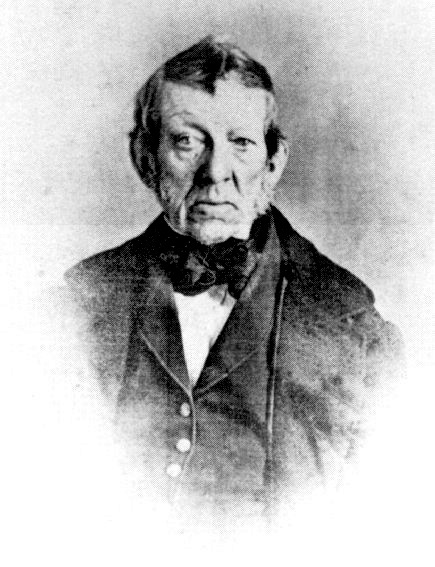 Owner Samuel Flint. Annex addition to Leeds & Grenville Counties Court House (1888), William St. at Church St., Brockville. Glen Buell Church (1888-89), Glen Buell, Ont. Fulford Building (1889), Court House Ave. and King St. W., Brockville. Owner George T. Fulford. Built in two phases: Court House Ave. wing, 1887–88, and King St. wing, 1888–89. Housed Fulford’s drugstore but was primarily a rental property. All but some outer walls destroyed by fire 1916; redesigned by George M. Miller*. Allan S. Ault House (1890), 159 King St. E., Brockville. Dunham Block (1892), 47, 49 King St. W. at Broad St., Brockville. Cossitt Terrace (1894) 67–75 King St. E., Brockville. Owner Newton Cossitt. House of Industry (1894–95), Athens, Ont. Gaoler's Residence (1897–98), Court House Square at Wall St., Brockville. Architect, Brockville. Office, 77 King St. W.; home, 17 Granite St. W. (1921). Studied at École des Beaux-Arts, Paris. Came to Brockville from Detroit, MI, in 1910. Member OAA, RAIC. Renovations to the New Opera House (1910), 235 King St. W., Brockville. 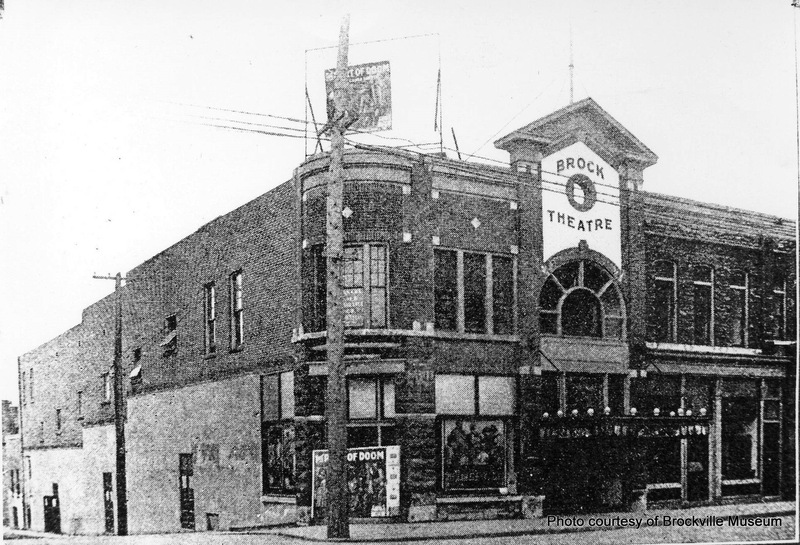 Brock Theatre (1913), 131 King St. W. at Home St., Brockville. Additions to Thornton Cliff, house of Sen. Arthur C. Hardy and Dorothy Hardy, 291 King Street E., Brockville. Dr. William H. Woodrow House (1914), 1 Granite St. E., Brockville. Matthew M. Brown House, 56 King St. E., Brockville. Dr. Edward B. Moles House, 50 King St. E., Brockville. Addition to First Presbyterian Church, 10 Church St., Brockville. Edward A. Geiger House (1914), 59 Hartley St., Brockville. Architect, Montreal. (b at Inverness, Scot 14 Dec 1872; d at Montréal 2 Mar 1934). He came to Canada in 1893 and was employed as supervising architect in the office of Edward MAXWELL in Montréal. From 1897 to 1915 he practised in partnership, and thereafter under his own name. He was known for his administrative ability and expertise in construction methods. He tried to promote economy in relation to architecture through a series of articles distributed across Canada. During the 1920s the CNR commissioned him to design large hotels across Canada from Halifax to Vancouver. In his best works in Montréal - Emmanuel Congregational Church, Montréal Technical School, Masonic Memorial Temple - Archibald adhered to the classical tradition of symmetry and monumental grandeur. 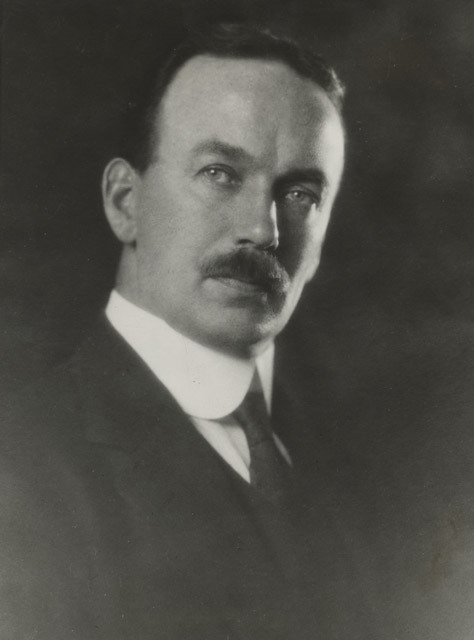 He was president of the Royal Architectural Institute of Canada 1924-25 and was elected a fellow in 1930. Manitonna Hotel (1929), 5 King Street E., Brockville. Master carpenter and joiner, Brockville. Cecil Scott Burgess was born October 4, 1870 in Bombay, India to parents Anne (Allan) and James B. Burgess. First professor of Architecture and resident University architect at the University of Alberta (1913-4. 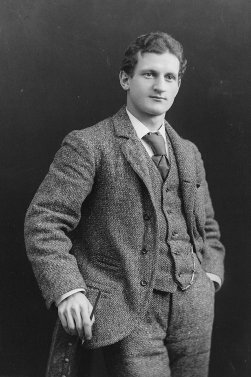 Before attending Heriot Wall College and the Edinburgh School of Art in Scotland, Burgess apprenticed with Sir George Washington Brown in Edinburgh (1887-91). Burgess’s career as an architect took him from London, Liverpool, and York (1891-1903) to McGill University in Montreal, where he was lecturer of architecture from 1903-13. It was in 1913 that Burgess’s long affiliation with the University of Alberta began; he was appointed resident architect and professor of architecture, posts he held until he was named a Professor Emeritus in 1940. Burgess made many lasting contributions to the University over the course of his long tenure. In addition to serving as a member of the Senate (1924-27, 1936-42), he served as construction supervisor of the Arts Building from 1913-15 and he later as construction supervisor for the plant pathology lab, the Medical Building, the South Wing, and the University Hospital. Burgess proposed the design for the University of Alberta campus and designed Pembina Hall (1913-14), the Varsity Ring campus houses #5 through #11, the Soldier’s Civil Re-establishment Building, and the University farm buildings. Burgess took military leave from the University of Alberta from 1917-19 and during that time, he was a private — then quartermaster — with the 66th Canadian Battalion. He was also captain of C Company with the 196th Universities Battalion and instructor of architecture at Khaki University in England. Burgess, a highly respected member of the architecture community, served as a consulting architect for the Government of Alberta (1931-32), designing the Natural Resources Building in Edmonton; a federal government consultant (1940) for Banff and Jasper townships; a town planning consultant for the municipalities of Lethbridge, Medicine Hat, and Whitehorse; and a member of the City of Edmonton Planning Commission (1929-49). In recognition of his many achievements in the fields of architecture and urban planning, Burgess was named a Fellow of the Royal Architectural Institute of Canada (1930) and of the Royal Institute of British Architects (1933). He was presented with an honorary Doctor of Laws degree (LLD honoris causa) from the University of Alberta in 1958. He is also the recipient of United Way recognition for lifetime contributions. Burgess passed away in 1971 in Edmonton, Alberta, aged 101. Architect, Brockville. Office, 9 Court House Ave. (1966). Buell–Fitzsimmons Manor (1975–76), 80 Water St. W., Brockville. Addition to Brockville Museum, 5 Henry St., Brockville. St. John Bosco Roman Catholic Church (1986), 175 Windsor Dr., Brockville. Architect, Cornwall, Ont., and Kingston, Ont. 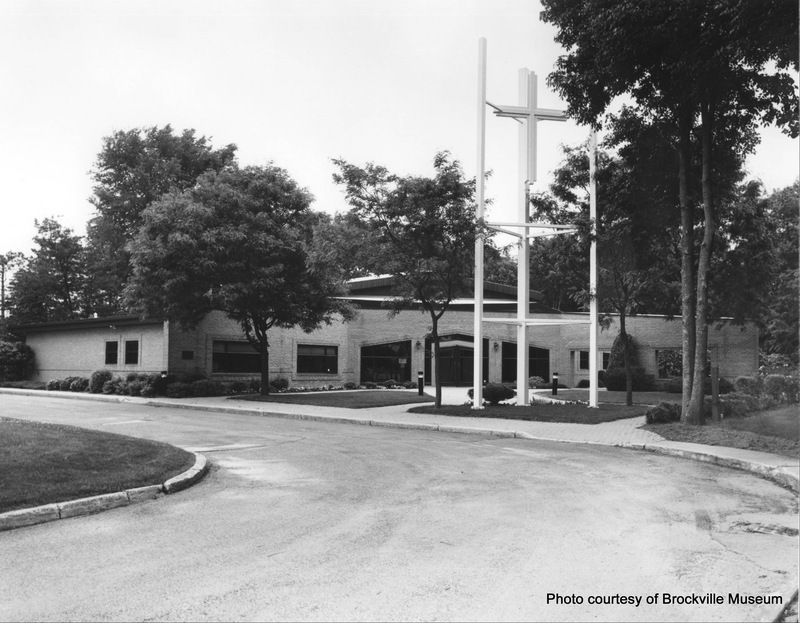 Brockville Country Club (1976), County Rd. #2, west of Brockville. Two Apartment Buildings (1977), 39 Garden St. and 44 Central Ave. E. Owner Pimm Investments. Architect, Brockville. Office, 15 Court House Ave. (1935). 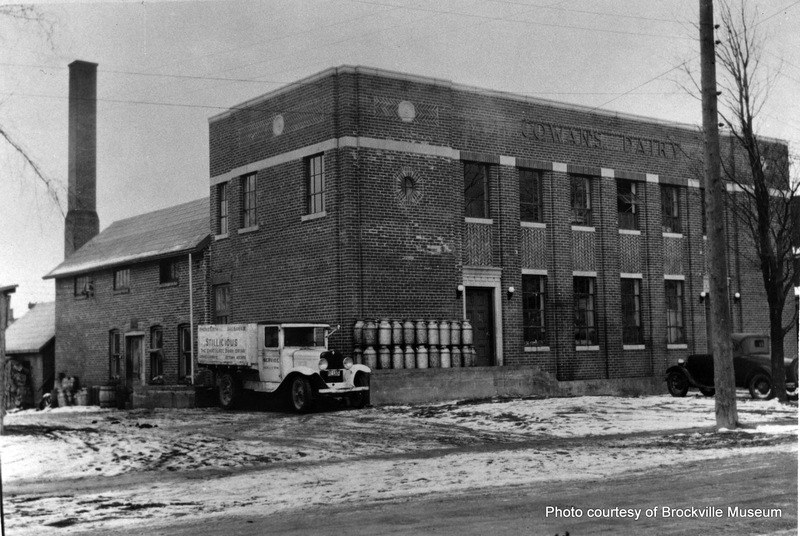 Cowan’s Dairy Factory (ca 1929), 241 Park St., Brockville. 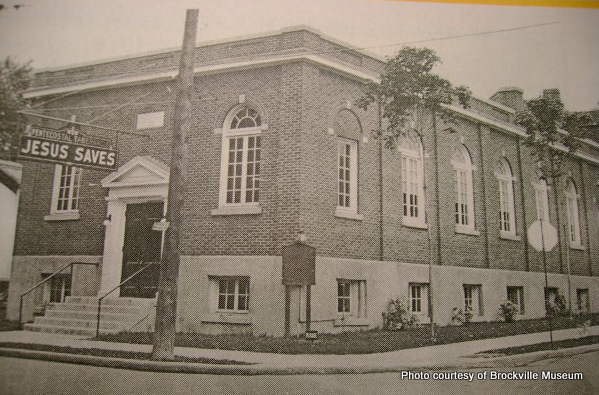 Brockville Pentecostal Tabernacle (1928), 61 Buell St., Brockville. Architect, Brockville. Office, Jones–Harding Building, 43 King St. W., Brockville; home, 101 James St. E. Trained in Kingston and articled with Arthur Ellis. Opened first architectural practice at Renfrew, Ont., in 1896. Came to Brockville in 1898. Addition to Leeds County Registry Office (1899), 7 William St., Brockville. Westport Public School (1899), Westport, Ont. 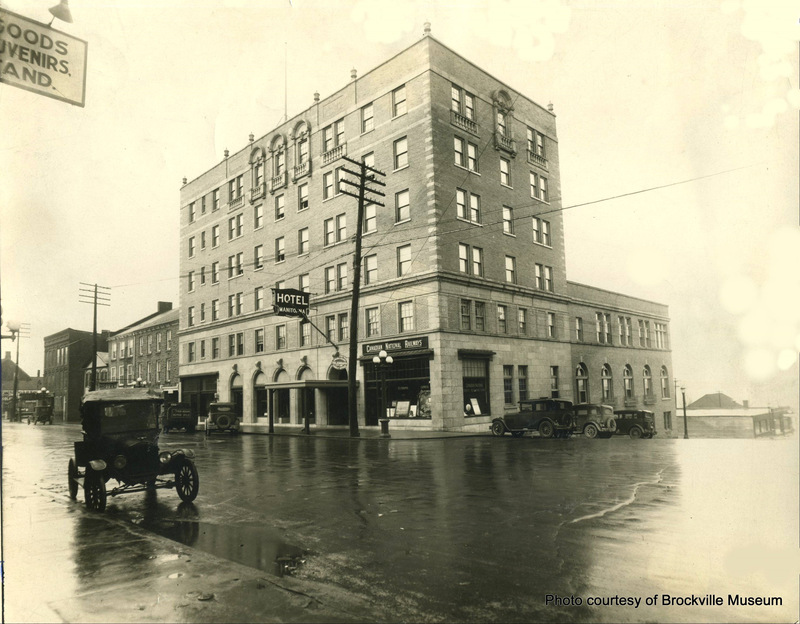 Hotel Strathcona (1900–01), 131 King St. W. at Home St., Brockville, in association with Edward Maxwell*. Owner Thomas Thompkins. Burned Dec. 1911. Additions to Water Works Building, 71 Water St. E., Brockville. North Augusta Methodist Church (1904), North Augusta, Ont. 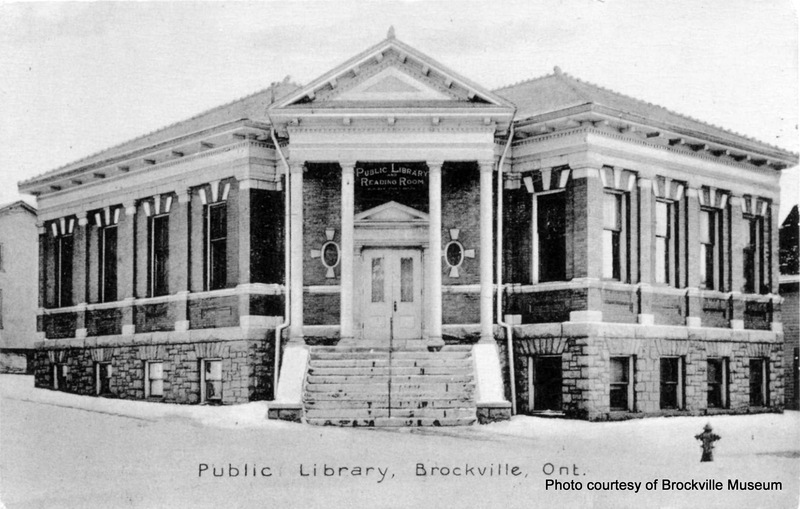 Brockville Public Library (1904), 21 Buell St. at George St., Brockville. Eastern Methodist Church (1905), Napanee, Ont. Methodist Church (ca 0000? ), Chesterville, Ont. Athens Town Hall (1905), Athens, Ont. Remodeling of Brockville Opera House (1905), 235 King Street E., Brockville. Athens Public School (1905), Athens, Ont. Additions to and remodelling of Jones–Harding Building (1905), King and Broad Sts., Brockville. William E. Braund House (1906), 53 Pine Street, Brockville. 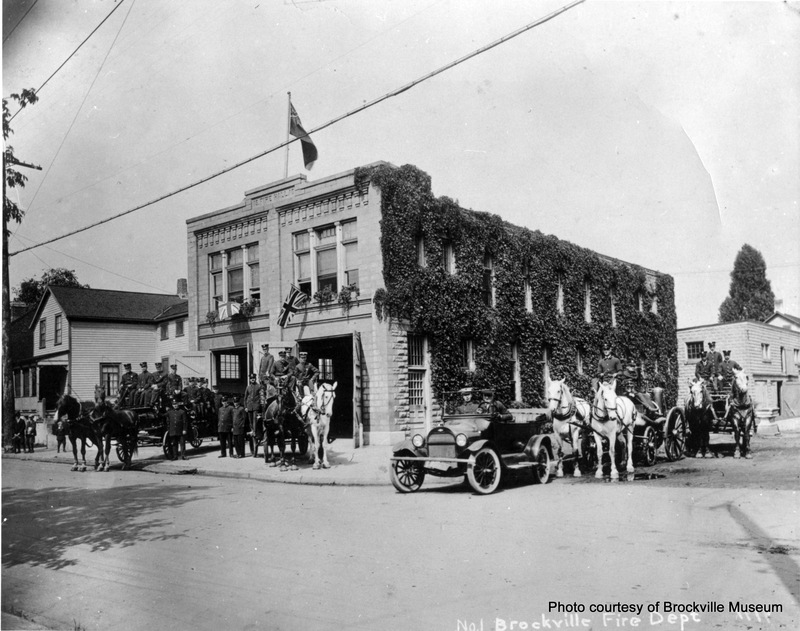 Brockville Fire Hall (1910), 61 Perth St., Brockville. Town’s first modern, purpose-built fire hall. Duplex for John W. Ridgeway (1912), 2 Wellington St. and 47 Ormond St., Brockville. Duplex for John W. Ridgeway (1914), 123 Pine St and 24 East Ave., Brockville. Architects, Kingston, Ont., and Brockville. Brockville office, 16 King St. E. (1961). Principals: Colin Drever (1887–1975) and Harry P. Smith (1905–1983). Brockville Memorial Civic Centre (1951), Gilmour St., Brockville. Collapsed under weight of snow 1977. Architect, Albany, NY. Called “dean” of architects at Albany. Author of large and influential portfolio of his own designs, Artistic Homes in City and Country (5 eds., 1882–1891). Practised institutional as well as domestic architecture, but was best known for the comfortable, technologically advanced houses in up-to-date styles that he created for wealthy clients in northeastern US. Only other known Canadian commission, design of YMCA building on St. James St., Montreal (1891). designs for Fulford Place Mansion (1901), house of George T. and Mary W. Fulford, 287 King St. E., Brockville – and also Coachman’s House, Coach House/stable, Icehouse, and Gardener’s House (1903–04). Plans and elevations for mansion published in American Architect and Building News (October 1900). Dominion Architect, Ottawa (b at Bath, Eng 8 Mar 1823; d at Ottawa 28 Sept 1898). In 1857 Fuller left England to set up practice in Toronto with Chilion Jones. The firm, with Fuller responsible for design, specialized in Anglican church architecture in a Gothic revival style and won 2 important competitions, the first for the Parliament Buildings in Ottawa in 1859, and the second for the New York State Capitol in Albany in 1867. In 1881 Fuller was appointed Dominion chief architect and during his 15-year tenure supervised the design of over 140 buildings across the country. Perhaps more than any other architect, he was responsible for defining the character of federal architecture in Canada. His small post offices, executed in a blend of Gothic and Romanesque forms and characterized by their picturesque massing, and accented by stone gables and tall clock towers, provided immediately recognizable symbols of the federal government and established a design that endured into the 1930s. Post Office and Customs House (1883–85), 12 Court House Ave., Brockville. Brockville contractor/architect. Built coachman’s house, icehouse, and gardener’s house designed by A.W. Fuller* for Fulford Place; pattern-book greenhouses and furnace house; and rock garden and six-pool cascade water garden designed by F.G. Todd*. Designed and built tamarack Log Cabin (1907) at Fulford Place, 287 King St. E. Owners Mary and George T. Fulford II. Gray was said by Brockville Evening Recorder to have used "old fashioned plans" – which suggests that he adapted Adirondack-style plans available from commercial publishers, likely American. Whatever the case, this rustic retreat appears to be first of its kind in Brockville area. Architects, Toronto. Principals: Herbert Hancock and Hamilton Townsend. Trinity Anglican Church (1876–77), 20 Clarissa St. at George St., Brockville. Scottish architect, Assistant to London architect George Gilbert Scott. Moved to Toronto in 1852 and left to return to Scotland in 1864. Worked on many church and church-related buildings. Designed Kingston branch of Commercial Bank and Toronto Hospital. Thornton Cliff, house of Catherine & Reuben P. Colton (1854-55), 275 King St. E., Brockville. Known to have been active as builder and architect in town 1840–60, but no building of his has been certainly identified. Moved to Ottawa. Buried in Old Brockville Cemetery. John George Howard, né John Corby, architect, surveyor, artist (b at Bengeo, Eng 27 July 1803; d at Toronto 3 Feb 1890). Emigrating from England in 1832, Howard enjoyed a successful career, primarily in Toronto, as an architect, surveyor and artist. He produced fine watercolours (many of which survive), was instrumental in organizing the Toronto Society of Artists in 1834, and was drawing master at Upper Canada College from 1833 to 1856. He received many contracts for street improvements following the incorporation of the city of Toronto in 1834 and was city surveyor 1843-55. One of the busiest architects in the city, he was responsible for many private and public buildings. His most important commission was the Provincial Lunatic Asylum (1845-49, demolished 1976), but he is best remembered for bequeathing his estate, High Park, and his home, Colborne Lodge, to the city. 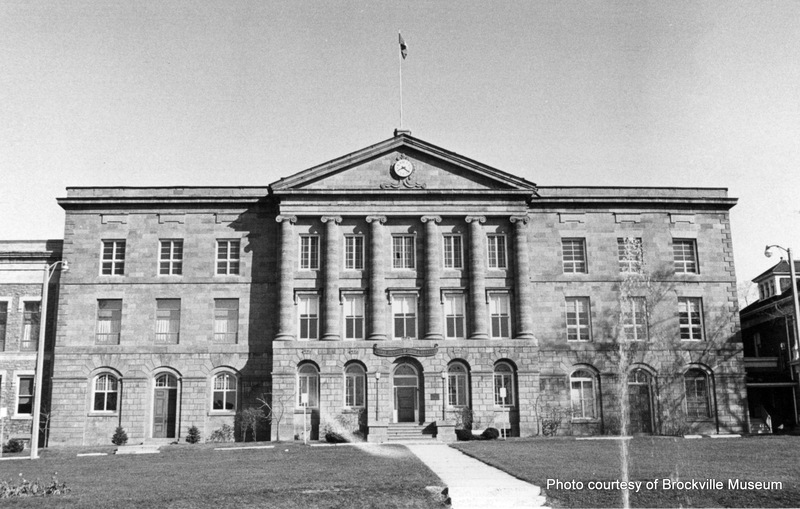 Second District of Johnstown Court House and Gaol (1841–43), Court House Square, Brockville. Richard F. Steele House (ca 1846), 181(?) King Street East, Brockville. Congregational Church, 12 Pine St. at Victoria Ave. 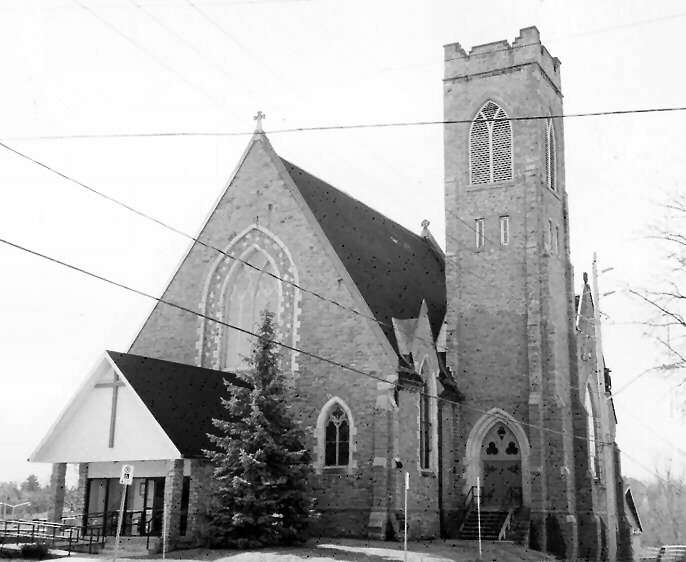 Subsequently became, and remains, St. Paul’s Anglican Church. Architect, Kingston, Ont. Assisted father, Edward Horsey, a Kingston architect, on projects that included Frontenac County Court House (1855). Also designed Kingston’s Crystal Palace (1856). Victoria Hall and East Ward Market Building (1862–64), 1 King Street at Market Square, Brockville. Alterations to Leeds and Grenville Counties Gaol (1862), Wall Street, Brockville. District Surveyor and architect, Brockville. Thomas Hume House (ca 1847), 55 Orchard Street, Brockville. Second First Presbyterian Church (1848), 10 Church St. at William St., Brockville. Victoria Common School (1854–56), 32 Wall Street, Brockville. Leeds County Registry Office (1854), Court House Square, Brockville. Architect, Ottawa and Brockville. Partner of Thomas Fuller* at the time their firm won design competition for Canadian Parliament Buildings in Ottawa, 1859 (constructed 1859-66). Said to have had main responsibility for design of Parliamentary Library, the only portion of the old buildings to survive the great fire of 1916. Lived in Brockville and nearby Gananoque for a great part of his life. No buildings identified in Brockville at this time. Architect, Montreal. Wisconsin-born Assistant Chief Architect for CPR, and in this capacity one of main designers of Toronto’s Union Station. Also had private practice. Fulford Home for Ladies, 280 King St. E. (completed 1918). Design said by Brockville Recorder to have been based on a "sixteenth-century Surrey manor house." Civil engineer and land surveyor, Brockville. Grenville County Registry Office (1854), Prescott, Ont. (Hainesburg, VT, 21 August 1841– Ogdensburg, NY, 27 September 1893). Architect, Ogdensburg, NY. Office: 68 Ford St., Gilbert Block, Ogdensburg (1876); home, 44 Morris St., Ogdensburg (1883). Designed many churches and private homes in Eastern Ontario as well as Northern New York State. Baptist Tabernacle (1878), 1 Pine St. at Wall St., Brockville. Subsequently became, and remains, First Baptist Church. Prescott Market Hall (1878–79), King St., Prescott, Ont. Demolished 19??. First Presbyterian Church (1879), 10 Church St. at William St., Brockville. Idlewilde, house of Susan & Henry A. Field (1881), 77 Hartley Street, Brockville. Jane & Newton Cossitt House (1881), 58 Wall Street, Brockville. Said to have cost $10,000. Margaret & Dr. Vincent H. Moore House ? (1880), 12 Victoria Ave., Brockville. Attributed to Johnston on strength of style. Thomas & Janet Gilmour House ? (ca.1873), 213 King St. E., Brockville. Attributed to Johnston on strength of style. 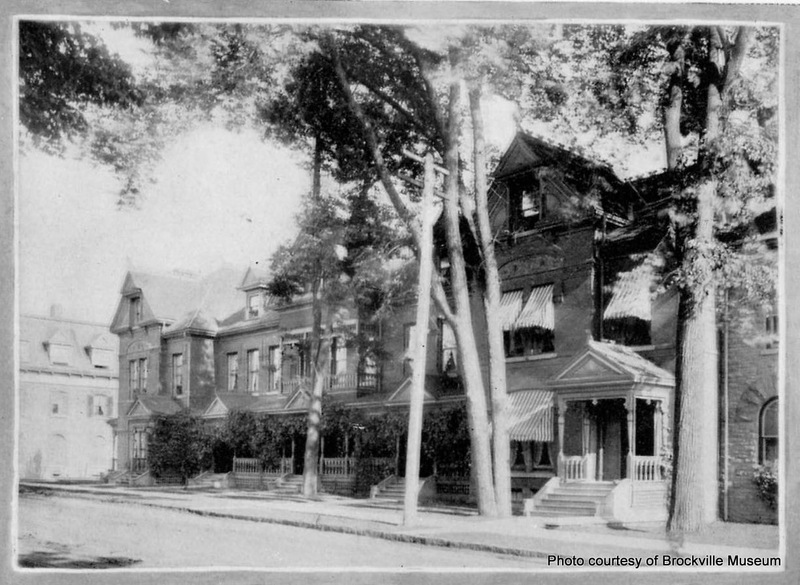 Renovations at Cedar Cliffs, the house of Emily & James H. Gilmour (1886), 225 King St. E., Brockville. Mary & Charles H. Buell House (1886), 63 Orchard St., Brockville. James Alexander House, (1886), 71(?) Bethune St., Brockville. George McLean House (1886), 92 Pine St., Brockville. Harlow Wiser House (1887), (?) King St. W., Prescott, Ont. Elizabeth & Richard Blake House (1890), 108 King St. E., Brockville. St. Andrew’s Presbyterian Church (1892), (?) Centre St., Prescott, Ont. St. Andrew’s Church Manse (1892), (? ), Prescott, Ont. Architect, Brockville. Office, Metropolitan Block, over Kyle & Barr, 86 King St. W. (1884). Always known locally as “O.E. Liston”. Known to be in partnership with his son, Edward Liston. Renovations to the West Ward Town Hall and Market Building (1879), 235 King St. W., Brockville. Included second-storey Brockville Opera House. J. T. Gallagher House (1882), Newboro Ont. Water Works Building (1883), 71 Water St. E., Brockville. Esmeralda & Senator John and Webster House (1883), 37 James St. E., Brockville. P.M. Garvey House (1883), Mill Street, Brockville. Christ Church (1884), Athens, Ont. St. Paul Street Bridge (1884). Spanned Buell's Creek in Brockville; demolished 1983. O. E. Liston House (1884), 56, 58, 60 James St. E., Brockville. Halladay Block (ca 1885? ), 167–191 King St. W., Brockville. 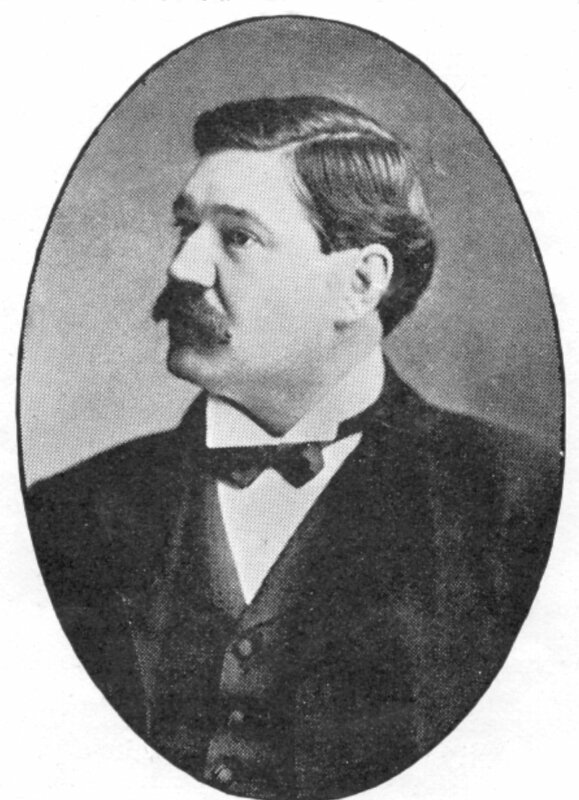 Owner Ezra H. Halladay. Comstock Building (1886–87), 11 Court House Ave., Brockville. 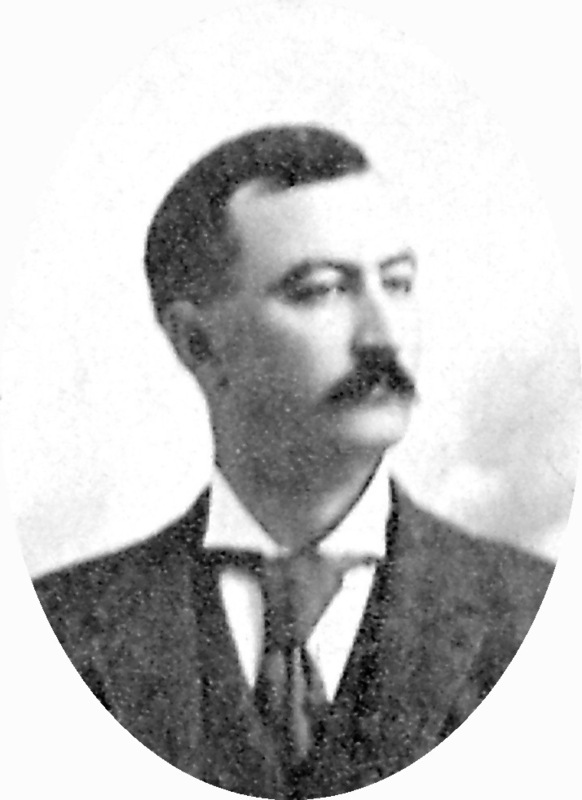 Owner William H. Comstock. Demolished ca.1965. Notre Dame Convent (1891), 48 Church St., Brockville. St. Francis Xavier Separate School (1891), 101 James St. W., Brockville. Publow Terrace (1895), Court House Square, Brockville. Architect (b at Montréal 31 Dec 1867; d there 14 Nov 1923). He apprenticed in Boston with Shepley, Rutan & Coolidge, who won a competition (1891) for the new Montréal Board of Trade. Maxwell returned to Montréal to supervise construction, and the contacts he made with prominent members of the Board of Trade helped to assure his success. In 1892 jeweller Henry BIRKS hired him to design a new store facing Phillips Square - now one of the city's architectural ornaments. Maxwell also designed numerous CPR stations and hotels, including the major western terminal at Vancouver (1897). The country estate planned for Louis-Joseph FORGET at Senneville, Québec (1899), is a fine example of his residential work. His younger brother William Sutherland Maxwell (b at Montréal 14 Nov 1874; d there 25 Mar 1952) became his partner in 1902. William had studied at the École des beaux-arts in Paris, and the beaux-arts style is reflected in the design and planning of the Maxwells' buildings at this time, eg, in the Royal Bank branch at WESTMOUNT (1903) and the CPR station at Winnipeg (1904). Their grandest and most memorable works - the SASKATCHEWAN LEGISLATIVE BUILDING at Regina (1908-11) and the Montreal Art Association Gallery (1911; now the Musée des beaux-arts de Montréal) - display a skill at planning and composition that ranks with the best beaux-arts designs of the period. Their final achievement was the St-Louis wing and tower block of the Château Frontenac Hotel at Québec City, which was completed in 1924, a year after Edward's death. Although William continued to practise, his work consisted mainly of additions and alterations to buildings designed earlier by the firm. Without the support of his brother, he seemed unable to revive the high level of creativity that had kept their office at the front rank of the architectural profession in Canada. Hotel Strathcona (1900–01), 131 King St. W. at Home St., Brockville, in association with Benjamin Dillon*. Owner Thomas Tompkins. Burned down Dec. 1911. Architect, Brockville. Educated and trained in Ireland. Settled at Brockville in 1825. St. James's Church of England (1826–27), Maitland, Ont. St. Peter's Church of England (1826–31), 60 Pine St., Brockville. Christ Church of England (date? ), Burritt’s Rapids, Ont. Architects, Kingston. Office, 382 King St. E. In succession to Power & Son*, Kingston. One of oldest continuous architectural practices in Canada. Salvation Army Citadel (1986), 175 First Ave., Brockville. Architect, Toronto. Best known for collegiate architecture (e.g., buildings at University of Toronto, former Guelph Agricultural College). Designed partial renovation of the ageing Fulford Building (ca.1912), built 1887–89. Miller’s work consisted in inspecting hastily-built block and “making repairs and patching up the building and straightening the floors in so far as same could possibly be done” (deposition before Ontario Supreme Court, September 15, 1916). Designed what was in effect a wholly new Fulford Building (1916–17), after fire of July 1916, during which all upper floors pancaked. “I found that all the said block had been damaged and destroyed with the exception of a two-third part of the wall of the buildings on King Street, and that a portion of the flooring of the buildings on Court House Avenue was saved. I also found that some of the stone of the old buildings could be utilized in the construction of the new buildings” (deposition before Ontario Supreme Court, September 15, 1916). Even with reuse of fire-scorched stonework, and a new top storey in cheap brick, construction cost about $56,000, a large sum in wartime. 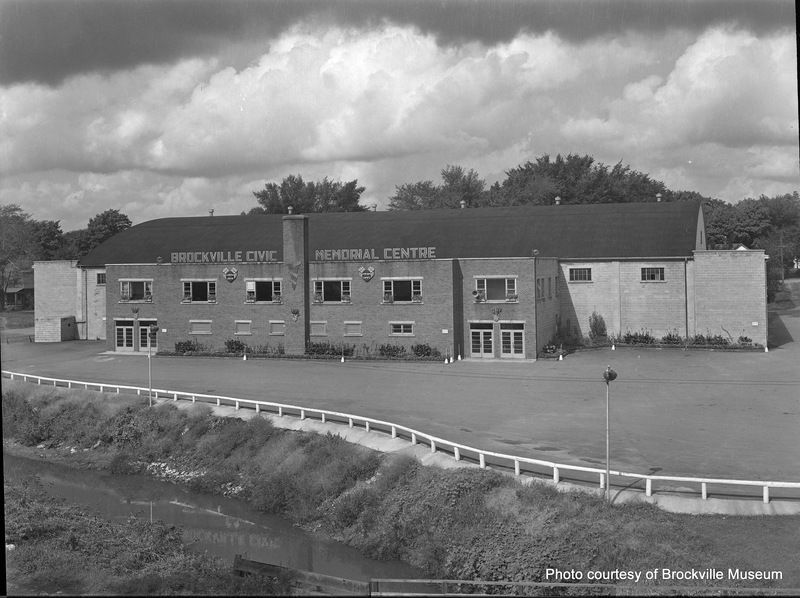 Brockville Memorial Centre (1980), Magedoma Dr., Project Architect Bill Kernohan. Landscape architects, Brookline, Mass. 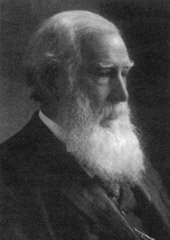 John Charles Olmsted (1852–1920) and younger stepbrother Frederick Law Olmsted Jr. (1870–1957) were the most important landscape architects in US in early 20th century, in succession to father Frederick Law Olmsted Sr. (1822–1903), who among many other things designed Central Park in New York and Mount Royal Park in Montreal. Olmsteds designed only 16 private estates in Canada, and Fulford Place is only one with significant remains of its original layout and construction – one of the main reasons for its designation as a National Historic Site. Fulford Place for long was the only estate in Brockville designed by any landscape architect of significance. Layout and plantation plans for Fulford Place Grounds and Gardens, 287 King St. E., (1896–1900). J.C. Olmsted was partner-in-charge. Subsequent planning and on-site implementation partly supervised by Arthur A. Shurtleff (1870–1957), who was later (under name Arthur Shurcliff) designer of historic restoration gardens at Williamsburg, VA. (1930s). Photos of Italian garden exhibited at the International Exposition of the Decorative Arts, Turin, Italy, under the auspices of the American Park and Outdoor Art Association. Designs for first Fulford Place Pergola in Italian garden (1900; still extant). One of the earliest known pergolas in Canada. Refurbished Fulford Place Grounds and Gardens (1931). Plans included second Fulford Place Pergola (1931–32; demolished 1960s). Bank of Nova Scotia / Sanderson Bldg. 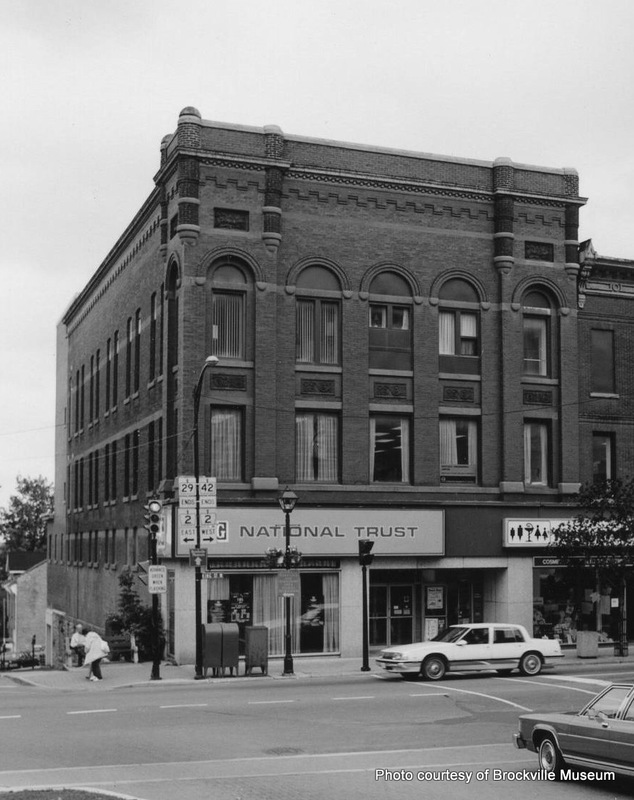 (1977), 1–7 King St. W., Brockville. Architects, Kingston, Ont. English-born architect John Power (1816–1882) arrived in Kingston in 1846. City Architect 1866–82. Founded firm Power & Son, in 1873, with son Joseph Power (1848–1925). One of Canada’s oldest continuous practices; now Mill & Ross*. Among many other projects in Kingston, Power and/or his sons designed Queen Street Methodist Church (1864), widened Sydenham Street Methodist Church (1887), designed St. Andrew’s Presbyterian Church (1888), rebuilt St. George’s Cathedral (1889–90), rebuilt Cathedral again after fire (1899), and reconstructed dome of City Hall (1908). Firm was continued after John’s death by sons Joseph and Thomas Power (1859–1930). Renovated and greatly expanded Wall Street Methodist Church (1896), 5 Wall Street, Brockville. Joseph Power was partner-in-charge. Rebuilding of Wall Street (built 1830, reconstructed 1862) based on firm’s widening of Sydenham Street Methodist, Kingston. Old nave of Wall Street was remodeled as a lecture hall. Large new nave built to east of old nave was given squarish "footprint" and curved amphitheatrical seating, according to "Akron plan." Design originated with large Sunday school at First Methodist Church, Akron, Ohio (ca 1867). Latter set a trend in North American Protestant churches, most of which were focused more on preaching from a pulpit than on ritual at an altar. Wall Street lecture hall and new nave, separated only by movable panels, together formed largest public space in Brockville for many years. Designed elaborate Pulpit and Altar Furniture for Wall Street Church (1896). Commissioned by Brockville patent-medicine millionaire George T. Fulford in memory of mother Martha Harris Fulford. At Fulford’s request, Joseph Power imitated certain architectural and decorative features of the sanctuary decor at the then-new Calvary Baptist Church, New York – which the architect and a Wall Street elder inspected at Fulford’s expense. Joseph Power designed Gothic Revival Mansion for G.T. Fulford (1897). Fulford had the previous year rejected plans from Clinton & Russell, New York, as “much too large” and “too Grecian” in style. Now he rejected the building Power proposed as "too spindly," because of elaborate skyline and cresting. See Albert W. Fuller*. Architects, Brockville. Office, 15 Court House Ave., Brockville (1961). In succession to Vincent Rother Associates (1956; Victor Prus, manager). Principals: Victor Prus and Ian Martin. With his wife Maria Fisz Prus (Hon. FAIA 1977) and various associates he has designed outstanding buildings that are characterized by an appropriate "ambience" - in his view the "ultimate objective" in architecture. His principal works include Rockland Shopping Centre, 1960 (Massey Medal), Savoie Apartment Bldg, 1962, Expo 67 Stadium (Citation 1967), Royal Canadian Air Force Memorial, Trenton (National Competition 1st prize 1969), Grande Théâtre de Québec and Conservatory of Music, Québec City (Competition 1st prize 1971), Canada/France Astronomical Observatory, Mauna Kea, Hawaii, 1977, International Airport, Barbados, 1979 and Palais de Congrés, Montréal (Competition 1st prize 1979). Architect, Montreal. Office, Room 903, New Birks Building, Montreal (1915). Studied in England and Ireland. Apprenticed to Sir Aston Webb, London, designer of the Victoria and Albert Museum, London, and one of the great architects of public buildings throughout the British Empire. Travelled extensively in Europe, recording cityscapes and especially town squares. Came to Canada 1907. Did more architectural rendering for other firms than architectural designs on his own. More or less gave up architecture and became one of the most distinguished etchers of his time, specializing in views of historic sites in Quebec. Born in Sunderland, England, Raine was trained as an architect. He studied drawing to improve his architectural sketches. 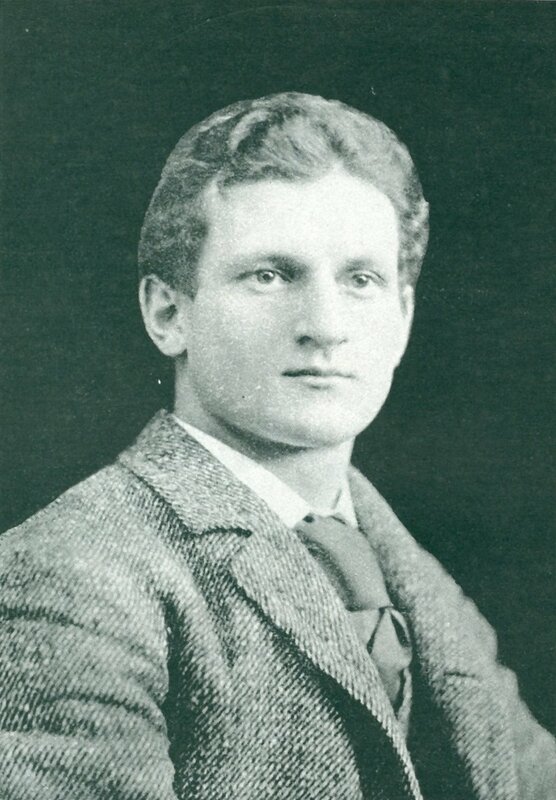 When he arrived in Canada (1907), Raine immediately got work as an architect in Montreal. Raine took up etching at the beginning of World War I, when there was very little work for architects. He was influenced by the work of French artist, Charles Meryon (1821-1868), best known for his etching series of Paris. Raine, inspired by Meryon, did his own series of etchings of Montreal. This series of etchings is recognized as an important historical record of Montreal and Quebec. design for John H. Fulford Memorial Fountain (completed 1917). Raine’s ARCA Diploma Work, deposited at National Gallery of Canada, 1917. Lion-headed herms at the top of fountain, with British imperial overtones, are unusually early for Canada. Architect, Westport, Ont. Grad. B.Arch., University of Toronto, 1933. Started practice in Westport in early 1940s. Addition to Brockville Public Library, George St. Addition to Brockville Arts Centre, King St. W.
Brockville Rowing Club, 1 Ferry St., Brockville. Master builder and architect, Brockville. Came to Canada in 1832, at age 17. Brick house? at 51, 53, 55 James St. W., Brockville (ca 1850). Rebecca & John Steacy House (ca 1856), 3 Pearl St. W., Brockville. Town Hall and West Ward Market Building (1858), 235 King St. W. at St. Paul St., Brockville. Subsequently Brockville Opera House (see O.E. Liston*), then New Theatre (see A. Stuart Allaster*), and finally and at present Brockville Arts Centre (see Horace Roberts*). Pearl Terrace (1875) 2, 4, 6 Pearl St. W., Brockville. Oxford Township Hall (1875), Oxford Mills, Ont. Wall Street Terrace, Wall Street, Brockville. Landscape architect, Montreal. 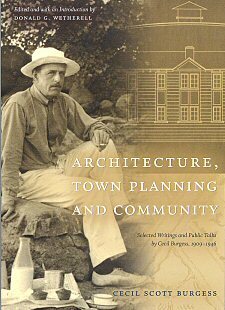 Most important landscape architect in Canada in early 20th century. Born and educated in US. Began career in Olmsted office in 1896, and was firm’s roving plantation assistant in Canada, based on Montreal, 1898–1900. Set up own design practice in Montreal 1900. Submitted pioneering design for a "National Capital Region" for Ottawa/Hull in 1903, while working on Fulford Place. Once remarked, with some justice, that he knew the urban parks of Canada well because he himself had designed most of them. Layouts and plantation plans for Fulford Place "Wild Garden", Rock Garden, Six-pool Cascade Water Garden, and Utility Garden (1903–04), 287 King St. E., Brockville. Owner G.T. Fulford I. Advised Brockville town council on layout of Court House Square and Court House Avenue, Brockville (1912). Refreshed Plantation of Fulford Place (1914). Owners Mary W. Fulford and G.T. Fulford II. Chief Architect, Province of Ontario, Department of Public Works, Toronto. Architect, civil engineer, politician (b at Garrarucum, Queen's County, Ire 1820; d at Toronto 24 Apr 1905). Architect of prominent early institutional buildings in Ontario, he also served as councillor and alderman for the City of Toronto, was a founding member and officer of the (Royal) Canadian Institute, and a mason. Tully immigrated to Canada in 1844, established a practice and, in 1868, was appointed architect and engineer of the Dept of Public Works of Ontario. 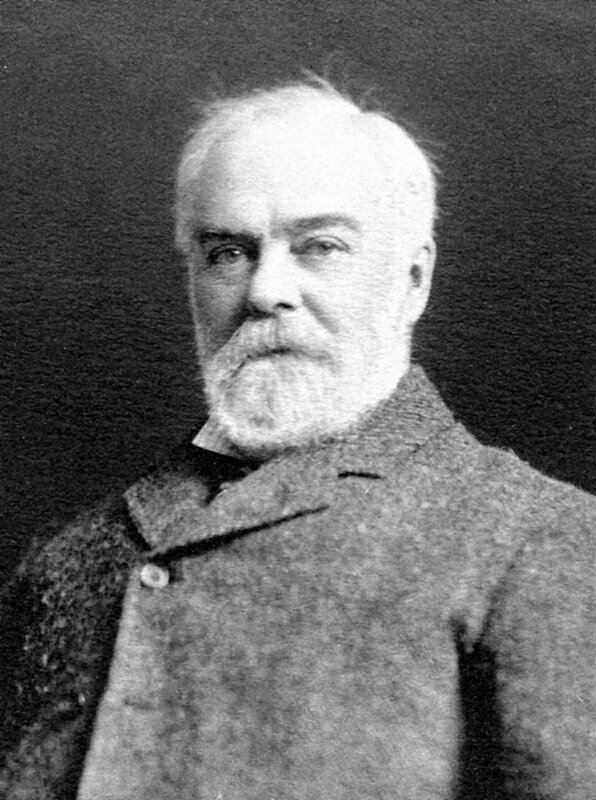 Among his important works are the Customs House, Trinity Coll on Queen St, and the Bank of Montreal at Yonge and Front streets, all in Toronto, the Welland County Courthouse, asylums in London, Hamilton and Brockville, and engineering proposals for the Toronto and Georgian Bay Ship Canal and the Toronto Harbour Front and Railways. Brockville Asylum for the Insane (1892), Prescott Road (County Rd. #2), E. of Brockville. Architect, Toronto. Office, 93 Parliament St. Contractor and architect, Brockville. Among other projects in Brockville and Eastern Ontario, designed all stations on Ottawa & St. Lawrence Railway line. Possibly and even probably adapted model plans (bound or loose) available from commercial publishers. Designed and built first Fulford Place Boathouse (1897), 287 King St. E., Brockville. Owner G.T. Fulford I. Architect, Toronto. Had distinctive Art Deco/Art Moderne style. One of chief designers of Maple Leaf Gardens, Toronto (1931). Design for Col. A.D. Langmuir House (mid-1920s), 186 King St. E., Brockville. This fashionable "butterfly house" – a summer residence for its Toronto owner – is still the only one of its kind in Brockville. Design for second Fulford Place Boathouse (1927), 287 King St. E., Brockville. Construction completed early 1930s. Published in "Canadian Homes and Gardens" (1934).